It’s an essential ingredient in Chinese cooking, if not the most essential ingredient. We are, of course, talking about the nectar of Oriental cuisine: soy sauce. 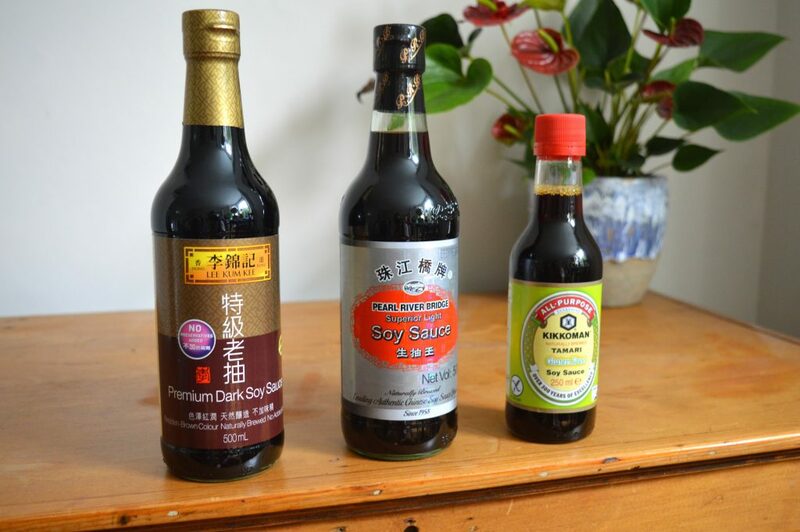 Having appeared on every Chinese restaurant tabletop and in 90%* of Chinese recipes, most people are pretty familiar with soy sauce and indeed probably have a bottle stashed away in their kitchen cupboard. Aside from being used in cooking, soy sauce is also excellent flavour topper-upper – a friend of ours even likes sprinkling soy sauce on his peas! But this penchant for soy saucy peas is not without its hazards. On one occasion, he unwittingly reached for the wrong bottle of sauce. Almost instantly, the sausage, mash and peas all transformed into dark inky mass that only became more unrecognisable with futile attempts to ‘mix it in’. He was informed by (chuckling) friends that he’d actually very generously doused his food with the wrong soy sauce. “Aren’t they all the same?” he asked sheepishly. Yes, it’s true: not all soy sauces are created equally. As kids, we discovered this fact when we watched Dad restocking the box of condiments and seasonings for our Sunday market stall. Every Saturday he patiently scooped sugar into a recycled peanut butter jar circa mid-90s and funnelled glistening soybean oil into a plastic milk carton. Then, from industrial-sized bottles that looked extra big because we were small, he carefully poured two different soy sauces into the squeezy bottles that Mum used when she stir fried rice and noodles for the hungry lunchtime crowds. One of the soy sauces was light and thin, like the one that we sprinkled onto our rice at the dining table. The other was more curious: dark, broody and mesmerisingly syrupy as it formed a glossy stream on its short journey from the gargantuan bottles to the wee ones. Why did mum need two different types of soy sauce? 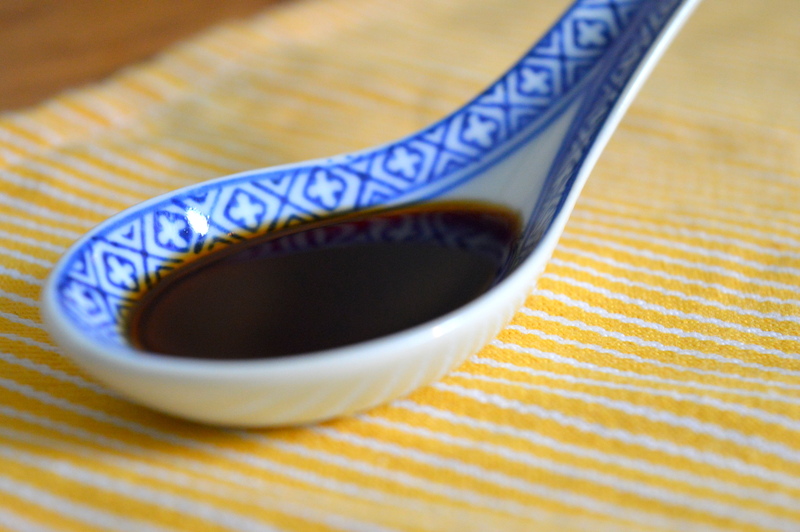 While most recipes simply call for soy sauce in their ingredient lists (by which they almost certainly mean light soy sauce) light soy also has a lesser-known bedfellow in dark soy sauce, and there’s a massive difference between the two. 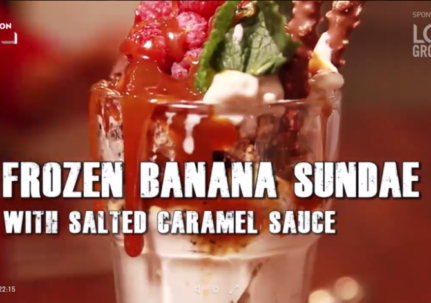 While light soy sauce is terrifically versatile, sometimes only dark soy can give a dish that certain je ne sais quoi. Find out why in our handy Soy Sauce 411 below. 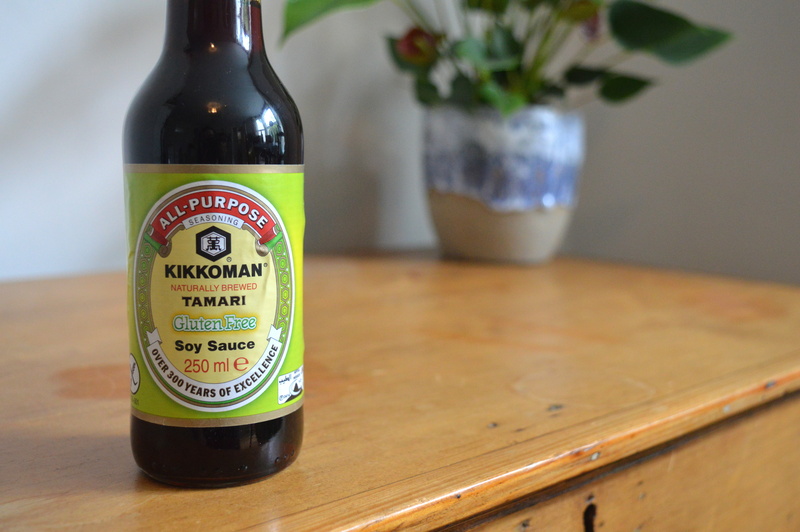 Stroll into any shop or mainstream supermarket, grab a bottle of generically labelled soy sauce, and the chances are you’ve picked up some light soy sauce. Light soy is made from the first pressing of fermented soy beans. 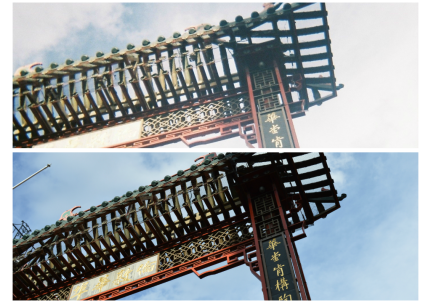 It is a lighter caramel in colour, thinner in consistency and the saltier version of China’s most famous sauce. Light soy is also the umami magic maker, bestowing dishes with a savoury quality that salt alone cannot achieve. Use it to marinate, season and as a go-to dipping sauce. As with all soy sauces, choose the ‘naturally brewed’ versions which have a complex flavour owing to its long fermentation time. Chemically produced soy sauce lacks body, so adding this to your food is essentially akin to adding a really salty sauce without introducing depth of flavour. 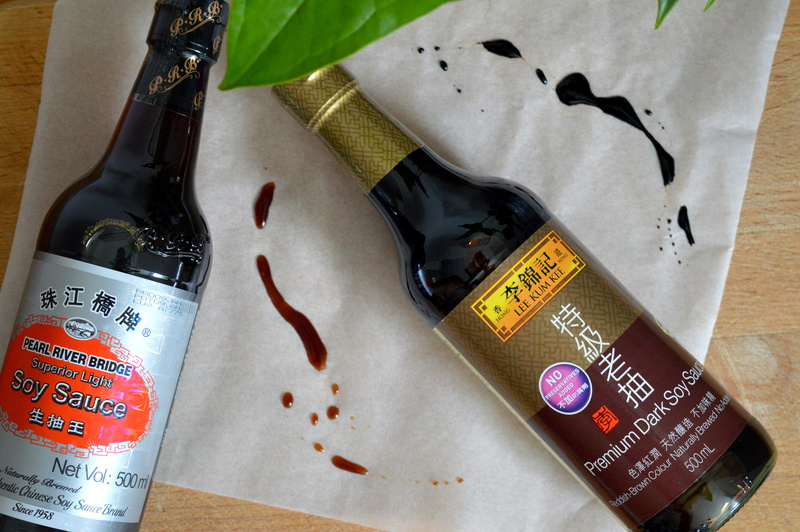 Our favourite brands of light soy sauce include Pearl River Bridge and Lee Kum Kee. If light soy is the intense, bold teenager with the unmistakable presence, dark soy is the wiser older sibling who has made it past adolescence to an altogether mellower place. Having had more time to ferment, dark soy sauce has a richer, glossier appearance and a deeper subtle flavour. It is hardly salty at all, and in fact it often has sweet notes due to the addition of molasses. Use it sparingly to give iconic dishes like ow ho (beef fried rice noodles) their characteristically dark and delicious caramel hue, and for a luscious silky sauce, add a splash to the pot when braising meats like pork belly. 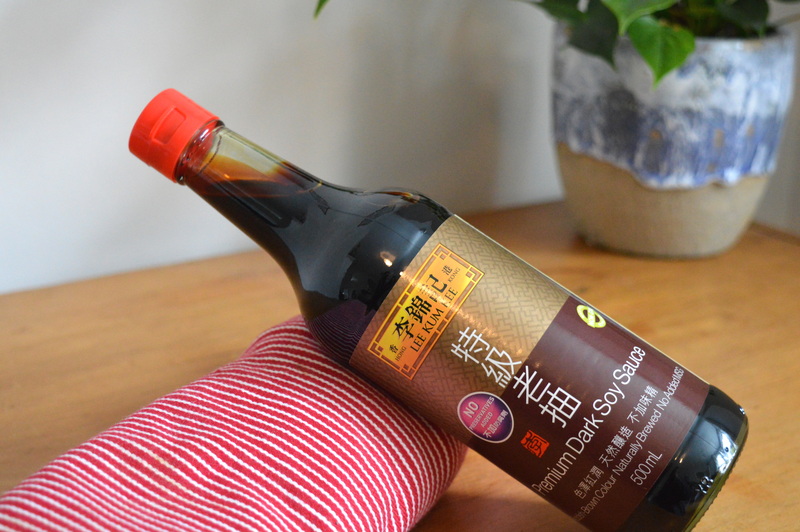 When shopping for dark soy sauce, invert the bottle to check the viscosity. A good, hardy dark soy will coat the inside of a bottle, whereas a runny consistency here is a sign of poor quality. Lee Kum Kee’s Premium Dark Soy (pictured) is one of the best we’ve come across. Finally, a special mention goes out to gluten free soy sauce, sometimes labelled as Japanese tamari**. This one is an excellent substitute for light soy sauce, as it has been brewed exclusively from soybeans without the addition of wheat. We find that tamari is slightly sweeter and not quite as salty as Chinese light soy sauce, so while it is terrific for cooking, where it really comes into its own is in dipping and sprinkling. ** Do check the label, as sometimes there can be small amounts of wheat present. 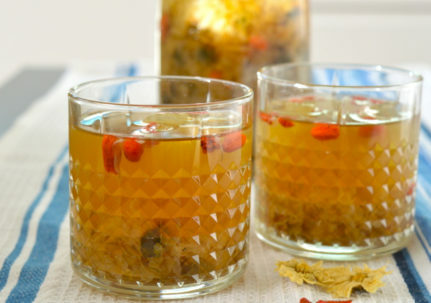 I love the recipes, it’s healty and easy. I already have the book. The best. so glad for the information-do you also happen to know the differences with Korean soy sauce? glad to see your new blogs again too!!! I’m using both Lee Kum Kee Premium Light and Dark Soy Sauce as well. And I must say the quality of the two are really fantastic! If you ever looking for soy sauce for Chinese cooking, and don’t know which one to look for, go for Lee Kum Kee.